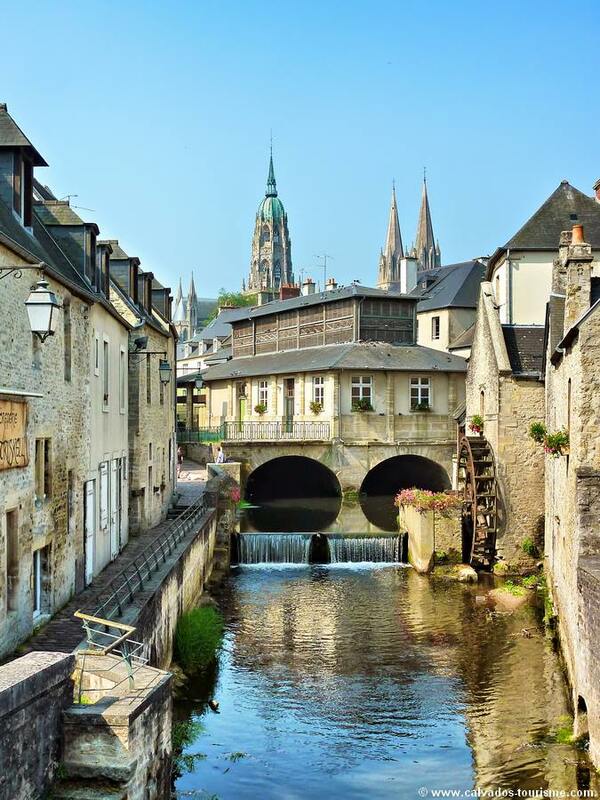 Founded by the Romans in the 1st C, the city became a bishopric in the 4th C. Bayeux was one of the major towns of the Dukedom of Normandy. The cathedral was built along centuries, mostly in the 11th and the 13th C. At the origin of this impressive building is Odo, bishop of Bayeux and William the Conqueror’s half-brother. He probably also commissioned the famous Bayeux Tapestry a 230 feet long embroidery. Nearly one-thousand years-old, it tells in pictures why the Duke of Normandy wanted to invade England, and how he won the Battle of Hastings in 1066. After the visit of the cathedral and the Tapestry Museum, your guide will lead you through the medieval streets flanked with old houses, some of them half-timbered. You might see the last lace-makers at work in the “Conservatoire de la Dentelle”, or visit the new Baron Gérard Fine Arts museum. Don’t forget to pay tribute to the nearly 4700 troops at rest in the British Cemetery, or more exactly Commonwealth Cemetery.